When did Sussex Partnership go smokefree? Sussex Partnership became a smokefree organisation on Wednesday 8 March 2017. What does going smokefree mean? Smokefree means that service users, carers, staff and other visitors to our premises will not be allowed to smoke on any of our sites, including all wards, buildings, grounds and vehicles. There will no longer be designated areas where smoking is allowed. If you smoke, we will support you to make a quit attempt, or to temporarily abstain whilst in hospital. Why did Sussex Partnership go smoke free? People with mental health problems are more likely to smoke, and to smoke more heavily, than the general population. This is one of the reasons that they tend to have poorer physical health and a lower life expectancy. We want to do all we can to tackle the smoking culture in mental health care by supporting our service users and staff to quit or reduce their smoking and enjoy the best possible health. The benefits of not smoking go much further than improved physical health. We know that many service users spend a significant proportion of their income on tobacco products too. Nurses on our inpatient wards devote a lot of time to escorting patients to designated smoking areas and we'd like this time to be spent on more therapeutic activities. Our decision is also supported by recommendations from the National Institute for Health and Care Excellence (NICE), who raise the need for all NHS premises to become completely smokefree. Do you stop people smoking whilst they are receiving care in hospital? We do not prevent service users from smoking but we do prohibit smoking on our premises. Service users who are able to leave Trust premises unescorted can still go off site and smoke. However, if you are detained under the Mental Health Act this might not always be possible. In these circumstances staff will offer a range of nicotine replacement therapy to support you to abstain from smoking. How do you support patients who are unable to smoke? All ward staff are trained to offer basic advice and support to abstain from smoking. However, a number of staff on each ward can also offer the full range of stop smoking interventions. All service users will be asked about their smoking when they are admitted to hospital. Whilst some service users may want to make a quit attempt, there will be others who don't but who are required to temporarily abstain from smoking. This might be for a number of reasons such as being legally detained in hospital. We recognise that stopping smoking can be very difficult and want to do all we can to manage withdrawal effects. All service users who are making quit attempts, or who are unable to go and smoke, will be offered nicotine replacement and/or other support to help them to manage this. We know that these measures significantly increase the chances of people quitting successfully, or managing to abstain whilst in hospital. How will you ensure that service users don't smoke on Sussex Partnership sites? Wherever possible service users will be told that smoking is not permitted on our premises and they will be offered support to temporarily abstain or quit. This includes nicotine replacement therapy and intensive behavioural support. If a service user attempts to smoke on our premises they will be reminded of our policy and asked to refrain. We appreciate that some patients might find it difficult to stay smoke free. In such circumstances the clinical team will review their care plan and consider how best to support the individual not to smoke on Sussex Partnership premises. What about staff and visitors? Respecting our smokefree premises applies to everybody, including visitors, contractors and our staff. We will support staff who want to quit smoking but anybody wishing to smoke or use an e-cigarette must leave our premises to do so. This is only permitted during unpaid breaks. E-cigarettes are battery powered devices that deliver nicotine through inhaled vapour. 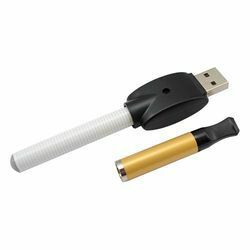 Most e-cigarettes contain a heating element, a cartridge containing nicotine, glycerine and water. They do not contain tobacco. The smoke produced from burning tobacco in cigarettes contains about 4,000 ingredients, 70 of these are known to cause cancer. 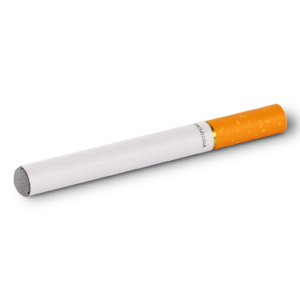 Since e-cigarettes do not contain tobacco and are not burnt they are thought to be much safer than cigarettes. However, some rechargeable e-cigarettes have caused fires because. This has happened because the wrong charger was used, the battery was charged for too long, or the e-cigarette was used near oxygen and naked flames. What type of e-cigarette is allowed in Sussex Partnership’s wards? Is going smokefree an infringement of people's right to smoke? Sussex Partnership is not banning people from smoking, we are simply prohibiting the use of tobacco on our premises. Our position is supported both in law and by the NHS. It is not an infringement of a patient's human rights for our sites to be smokefree. This argument has been legally tested and was upheld by the Court of Appeal in 2008 after Rampton Hospital in Nottinghamshire went smoke free. The Court ruled that a hospital is not the same as a home environment and is instead a place that should support the promotion of health and wellbeing. Therefore service users can be prevented from smoking on NHS premises for the protection of health reasons. What support will be available in the community? We hope that many service users will want to continue their quit attempt once they are discharged from hospital. Service users can continue to be supported by community-based smoking cessation services once they leave the ward. How do I get support and advice on quitting smoking?